Are "Left Wing Death Camps" In Americas Future If The Globalists "Take Down" President Trump? Are 'Left Wing Death Camps' In America's Future If The Global-Left Is Successful At 'Taking Down' President Trump? 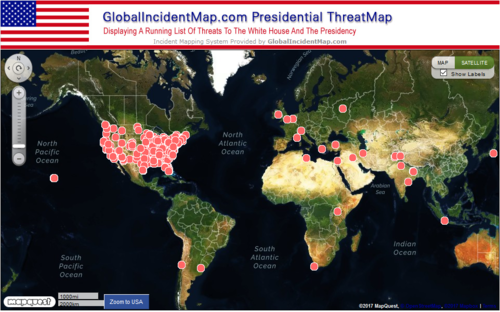 In this new story from Jack Burns over at the Free Thought Project he reports that according to JFK researchers, President Donald Trump is at the greatest risk of assassination of any US president since JFK. An obvious thorn in the side of globalists from Barack Obama to Hillary and Bill to Soros and down the line, we've witnessed what's amounted to a full-fledged rebellion against him by the shadow govt, the US court system, liberal Congress, 'Hellywood' and the Rino's in Congress led by John McCain and Lindsey Graham ever since he got into office just over two months ago. And while this 'rebellion' has partially remained legal and within the bounds of US law, we're getting more and more indications that if the sore losers don't get their way by 'getting rid of Trump' via impeachment or the court system, attempting to pull off something absolutely fanatical and downright diabolical is still within their realm of possibility. As this new story from Kit Daniels over at Infowars asks, are the 'global elite' trying to kill President Trump? As we hear in the 1st video below featuring Stefan Molyneux and Mike Cernovich, 'the left' has a long history of going outside the rules of human law that has left the world a body count that dwarfs that which follows Bill and Hillary around. Having a lengthy discussion in their video of the history of leftist ideology that we'll never hear on college campuses or in universities across America nor via the msm, they inform us the history of socialism is absolutely littered with left-wing violence, forced labor camps and mass murder. If the globalists get their way and are successful at 'taking down' President Trump, might such leftist death camps Molyneux and Cernovich speak of be in our future? All we need to do is take a look at many of the actions and listen to the rhetoric being spewed by those who supported Hillary to see they've already gone off the deep end with many acting out or calling for violence against Trump supporters. Also claiming that independent, alternative websites such as Infowars are 'Russian agents' and have 'committed espionage', every day we see more and more indications that something huge might soon happen that could change everything. 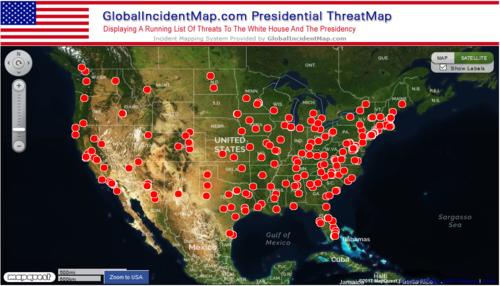 The website Global Incident Map now has an ongoing list of threats to the White House and the Presidency and as you can see by the screenshots we've taken of it, the threats against President Trump come in from all across America and the world. With all of these threats once again leading Steve Quayle to put out a call to Trump supporters to please keep Trump and his family's safety in our prayers, we're reminded that those who are working to harm President Trump are also working to harm America and working against more than a hundred millions Americans who love this country. As even former Green Party presidential candidate and Trump-supporting TV star Roseanne Barr recently tweeted, "every single attack on @POTUS is really a disguised attack on American voters who rejected Obama-Clinton-Bush's bleeding of R treasury." Whether or not you agree with Roseanne on everything, on this issue, she gets it. While we here at ANP were never 'fans' of Barack Obama nor his and the globalists drive to 'neuter' America, we'd never tolerate our readers making threats against him nor should anyone be making threats against President Donald Trump. The sheer volume of them illustrated in these two screenshots shows the gravity of the situation. Yet what these screenshots don't show are all of the possible 'enemies of America within' who are still hidden away in the shadows of the 'halls of power' in Washington DC just waiting to do Trump and America harm. In this March 23rd story by Paul Joseph Watson over at Infowars he reports film maker Michael Moore has called upon Democrats in Congress to declare a 'national emergency'. Accusing President Donald Trump himself of committing espionage, Moore's outburst was just one of the latest that prove to us the 4 to 8 years of Trump's presidency will be frought with danger with completely clueless sjw's being programmed into possible terrorists while even globalist-Rino's in Congress do everything in their power to take Trump and America down. We see Molyneux and Cernovich's warnings coming true before our eyes. 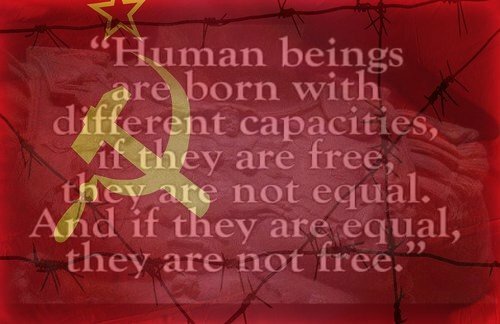 Warning us in their video that the body-count left in the wake of Joseph Stalin, Vladimir Lenin and Mao Zedong illustrates the dangers of communism, socialism and totalitarian leftist ideology overall, the two have a great discussion about Aleksandr Solzhenitsyn's book "The Gulag Archipelago" and the lessons Americans need to learn from it though many never will. As Molyneux tells us in the opening minute of this video, there are two kinds of people in this world - those who understand the deadly dangers which socialism will bring to the world and those who don't. 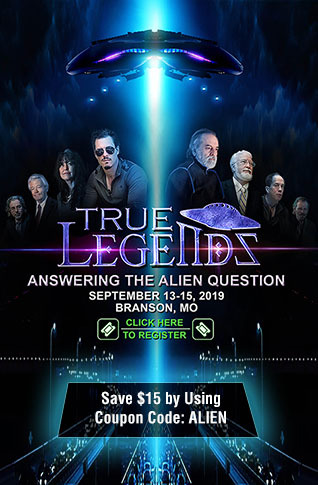 Warning us that 'those who don't' are being programmed to do the bidding of totalitarianism and the globalists, they hope this discussion helps to stop the spread of insanity and violence coming from many on the left, partially due to the globalists push for socialism and world govt. 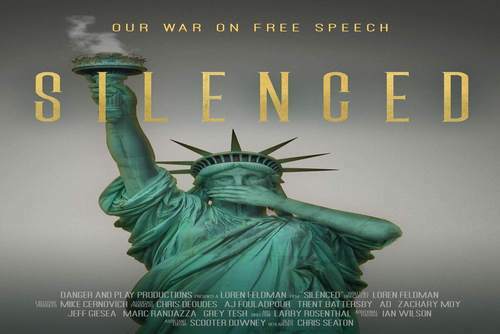 While the war upon free speech is alive and well at US college campuses across America, we've also documented the war upon independent journalism happening now via globalist outfits such as Google, Twitter, and Facebook. Think that all of this happening at once is all not related? As we learn from Molyneux and Cernovich, it's a very well-practiced plan being played out before our very eyes. As the threats grow against President Donald Trump, so do the dangers to every day, ordinary Americans who find themselves the victims of random attacks by anarchists simply for wearing MAGA hats. If we're already witnessing this kind of violence against President Trump supporters and these kinds of threats against President Trump, what might happen in America if the SHTF here and the globalists somehow 'remove' President Trump? The Federalist Papers recently reported that one leftist group is ready to shell out big bucks to activists to fight against Trump. Reeking of George Soros, some Antifa terrorists recently announced their plans to wear Islamic veils while they're going up against Trump supporters so they can file hate-crime charges against them...proving once again how truly vile and 'truth-hating' most of them are. In the 2nd video below, Alex Jones from Infowars reports upon all of the attacks upon President Trump coming from all directions and ponders upon the unthinkable, what might happen to America should the globalists attempt to pull a JFK against President Trump. Reminding us of why we should all be praying for President Trump and his family, why would anybody ever wish such violence upon any human being, much less the President of the US who quite literally has put his life on the line to help save America? In the 3rd video, former US Army Ranger Kris Paronto (hero of the Benghazi attack) joins Infowars and warns Democrats against attempting to impose any kind of 'martial law plan' in America that lands Donald Trump supporters, Christians, Conservatives and those who support the US Constitution in the kind of left-wing death camps that Molyneux and Cernovich talk about in the 1st video below. As we see in the 4th and final video below from ANP reader Deplorable Patriotgames777, one recent 'Antifa action' against Trump supporters n California didn't go quite the way they had planned it with Trump supporters quite literally stomping them down. As DPG777 also stated in a comment on ANP left with the video, "there is no trying to talk to the brainwashed Commies...they would rather see you dead." We pray for the safety and God's protection of President Donald Trump, his family, and America.